Now that another exhilarating season of Game of Thrones is wrapping up, we are all turning our attention to the calendar. Not for next season yet, but September 20th, your 66th birthday. If you had the life expectancy of your characters, you’d be long gone by now. That worries us. 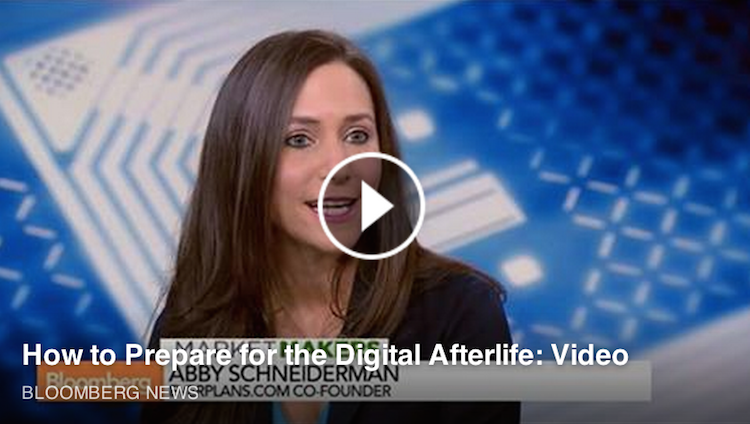 Our Co-founder Abby Schneiderman went on Bloomberg TV's "Market Makers" to discuss how people can take control of their assets online and prepare for death in the digital age. Click the photo above to watch the video on Bloomberg.com.